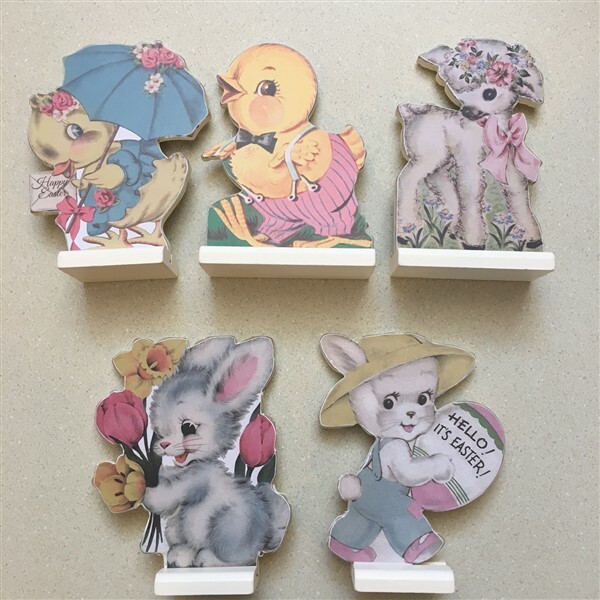 Sweet retro image Easter stand ups for your Easter decor. The colors are muted and they are just darling. They are approx 4.5" tall and made of wood and paper. Choose a few of your favorites for Easter baskets.